WASHINGTON (CNS) — Fred Rogers was ordained for the Presbyterian Church, but instead of a clerical collar, he ministered wearing a red cardigan sweater. 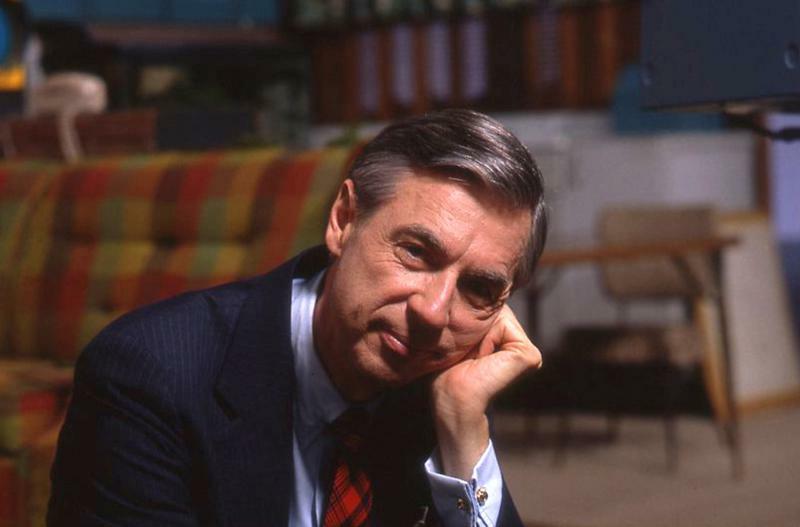 The much-loved children’s television figure, who died 15 years ago in 2003, is the subject of a new documentary, “Won’t You Be My Neighbor?” one of the hallmark lines he used in making nearly 900 episodes of “Mister Rogers’ Neighborhood.” The movie opens June 8. Rogers’ religious faith was inextricably bound up with what he did on his show, which aired new installments for 45 years on PBS, according to “Won’t You Be My Neighbor?” producer Nicholas Ma. “Did it ever! He was someone who woke up every morning reading the Bible in Hebrew or Greek. The Bible was his constant companion,” Ma said. Ma noted the Fred Rogers Archives are housed at St. Vincent College in Latrobe, Pennsylvania, in the Diocese of Greensburg, which adjoins the Diocese of Pittsburgh, where Rogers filmed “Mister Rogers’ Neighborhood.” Ma said Rogers and Benedictine Archabbot Douglas Nowicki, whose order oversees the college, were great friends. The documentary’s director, Morgan Neville, had in 2015 directed and produced a documentary on Yo-Yo Ma, Nicholas Ma’s father. At one point in an interview, Neville asked the cellist how he coped with the demands of stardom and being a public figure. 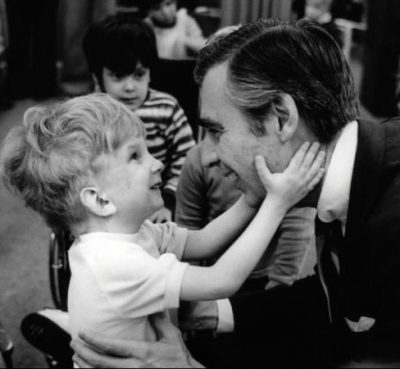 The reply: “Oh, Mister Rogers taught me” — hardly the kind of answer Neville had expected. In a June 2 interview with Catholic News Service to promote the movie, Ma — who frequently began his answers with “Oh, my gosh!” — said he and his sister had spent many an hour watching “Mister Rogers’ Neighborhood” while their mother was making dinner. “It was the one place she felt she could leave us be by ourselves safely,” Ma said. There were times, though, Ma remembered, when Dad would walk past the TV, stop and soak in Fred Rogers’ lesson that day. When Ma told his mother he was setting out to make a documentary on Rogers, “she just laughed,” he said. Rogers was a star in his day. Even though the Nielsen ratings did not take public TV into account since it was not commercially sponsored, one estimate put Rogers’ viewership at his peak in 1985 at 8 percent of all U.S. households. Even in death, Rogers carries some urgency. A YouTube video of a 1969 congressional hearing in which Rogers makes the case of public funding of public TV has received more than 2 million views since it was posted three years ago — and the video has been making the rounds of Facebook in recent weeks. Tom Hanks is set to begin filming later this year as Fred Rogers in the biopic “You Are My Friend,” due on screens in fall 2019, which Ma said he is looking forward to seeing.